It’s time for costume contests!! 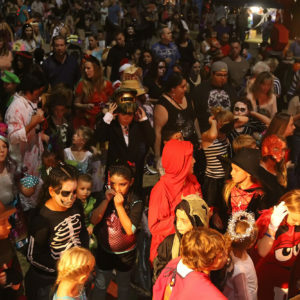 Join Funergy on The Salt River Fields Spooktacular Main stage for 3 entertaining costume contests starting at 7pm. Enjoy an up-close and personal experience with dolphins without getting wet! Delight in a dolphin kiss, fin-to-hand shake and more! It’s an amazing experience for small children, last-minute family outings, corporate events and school field trips. 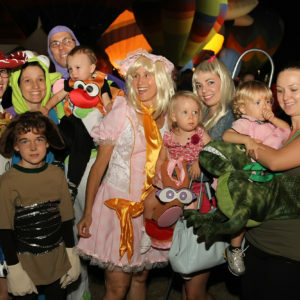 Salt River Fields Spooktacular encourages guests to pick the contest they think best fits their costume and enter ONLY ONE contest. Funergy and Salt River Field Spooktacular reserve the right to disallow any participation to guests who’s costume is deemed inappropriate for public display. 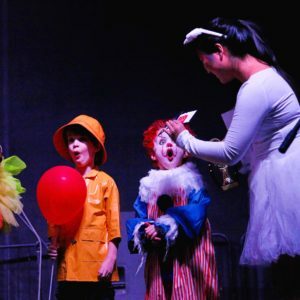 Guests with inappropriate costumes may also be asked to leave the event. Please remember this is a family event. Also, please note that participation in the Costume Contests on the stage means that you allow for Salt River Fields Spooktacular and Funergy to use your photographs for any promotional or marketing purposes. Copyright © 2018 Salt River Fields Spooktacular Hot Air Balloon Festival. All Rights Reserved.